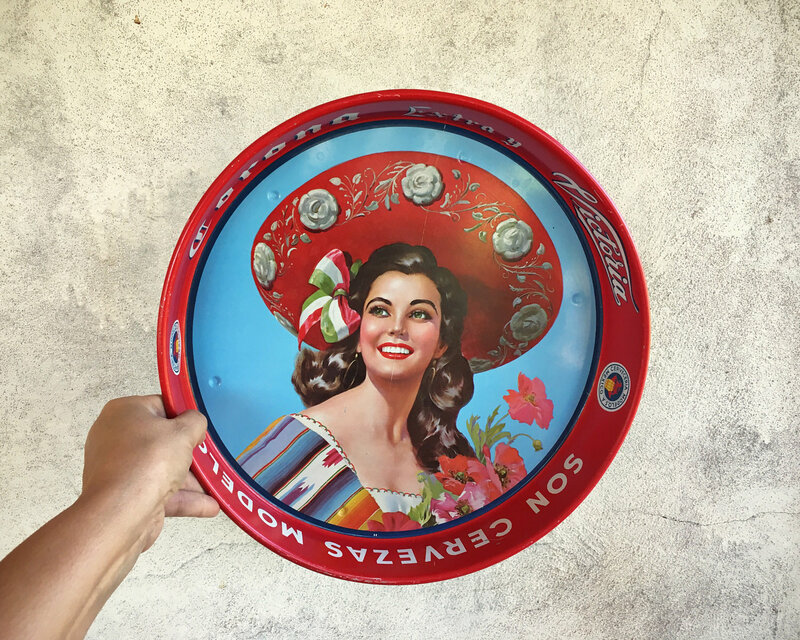 Vintage Corona Extra metal serving tray with a wonderful, colorful south of the border, señorita graphic. 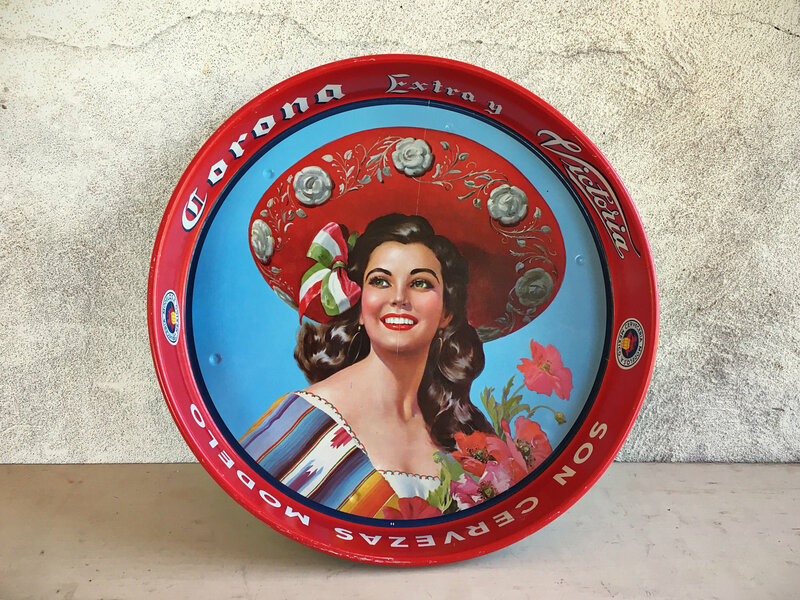 Corona Extra, introduced in 1925, is a pale lager. 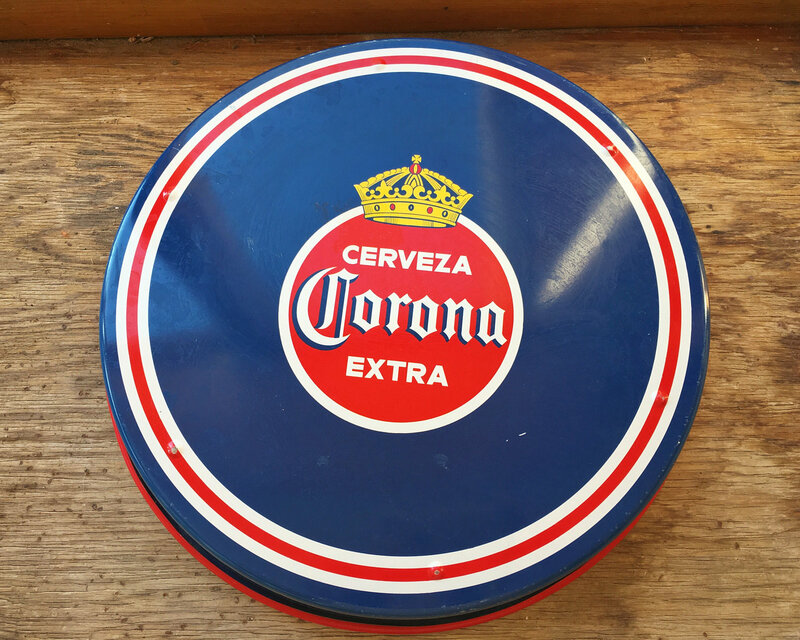 It's one of the top-selling beers worldwide and Corona Extra is the top selling imported beer in the U.S.! 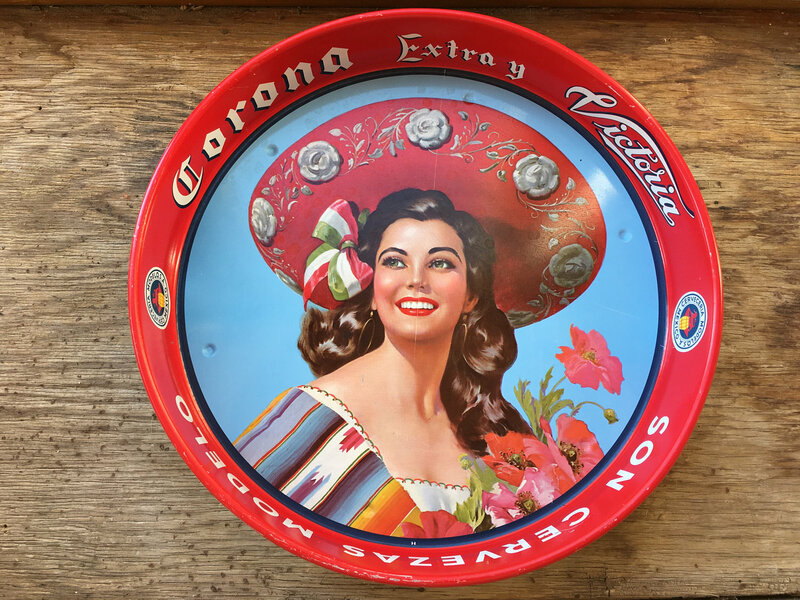 This was an actual beer tray in an Albuquerque bar, and it has the wear to prove it! Measures about 13-1/2" diameter and about 2" tall. Colors are bright yet there are plenty of scratches including a long one in the center. and just a couple of scratches. 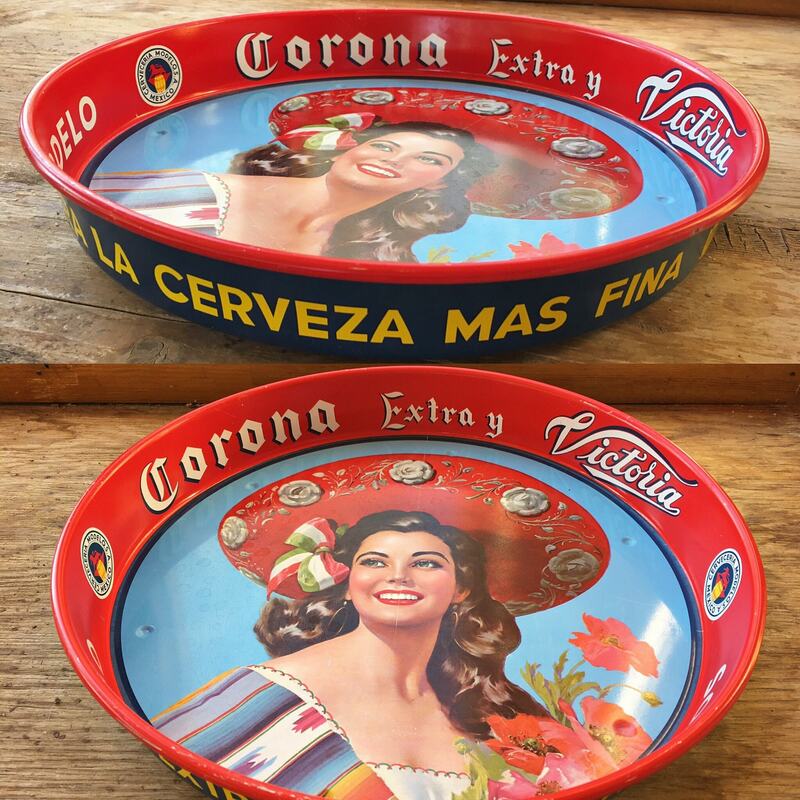 A great gift for the Corona beer lover or to complete your in-home bar.